International conference related to: „Environments within E.U. sustainability“ is going to be held in Rakovica Municipality – Belgrade, 15-17. November 2007. In period 15-17th November 2007 was held International conference in the form of round table, under the name „Quality of Life and Environment in the Frame of E.U. 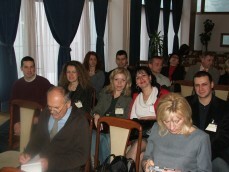 Sustainability“, organized by Balkan Environmental Association (B.EN.A.). Co-organizers of this scientific meeting were: Carlsberg L.L.C. Serbia, Institute of Agricultural Economics – Belgrade, Rakovica Municipality and Ministry for Environment Protection of Republic of Serbia. Institute of Agricultural Economics has organized the international scientific meeting “Multifunctional agriculture and rural development II – preservation of rural values” on 6-7th 2007, in Beočin. Institute of Agricultural Economics, Belgrade, together with twenty more scientific institutions and economic associations from the country and from abroad, organize International Scientific Meeting „State, possibilities and perspectives of rural development on area of huge open-pits“. 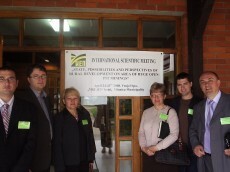 The symposium was held in Vrujci Spa, on 24-25th April 2008.